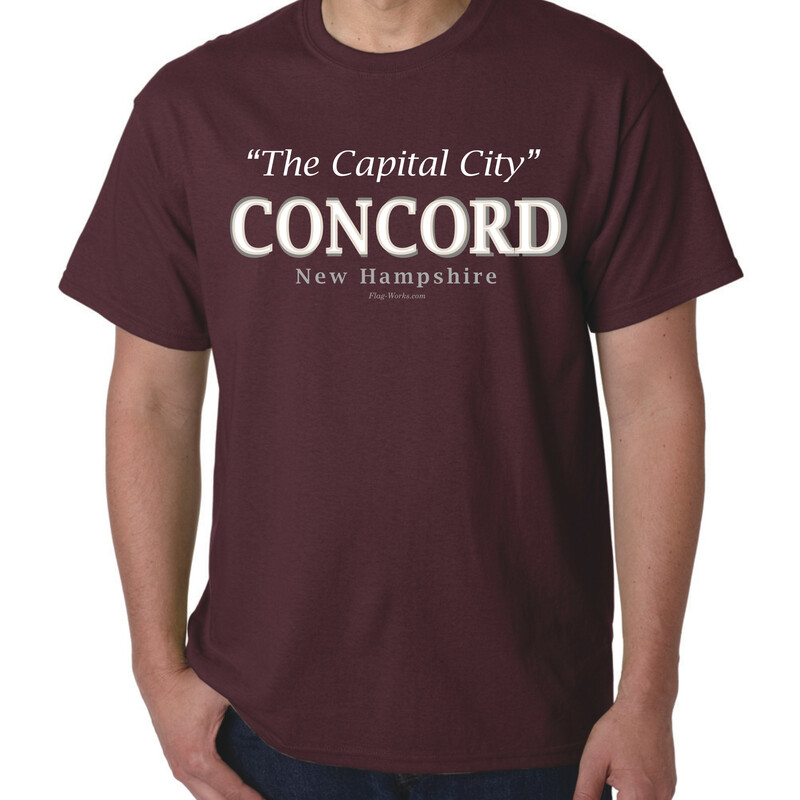 “The Capital City” Concord, New Hampshire. Flag-Works has brought in two new styles of T-shirts. They are great gifts for the holiday season. These Gildan T-shirts are 100% heavy cotton to give a classic fit, double needle sleeve and bottom hem. Sizes available S-XL. Also don’t forget that we have the famous Motto” Live Free or Die” T-shirts for men and women,mugs,magnets and bumper stickers. Visit us online or in the retail store. 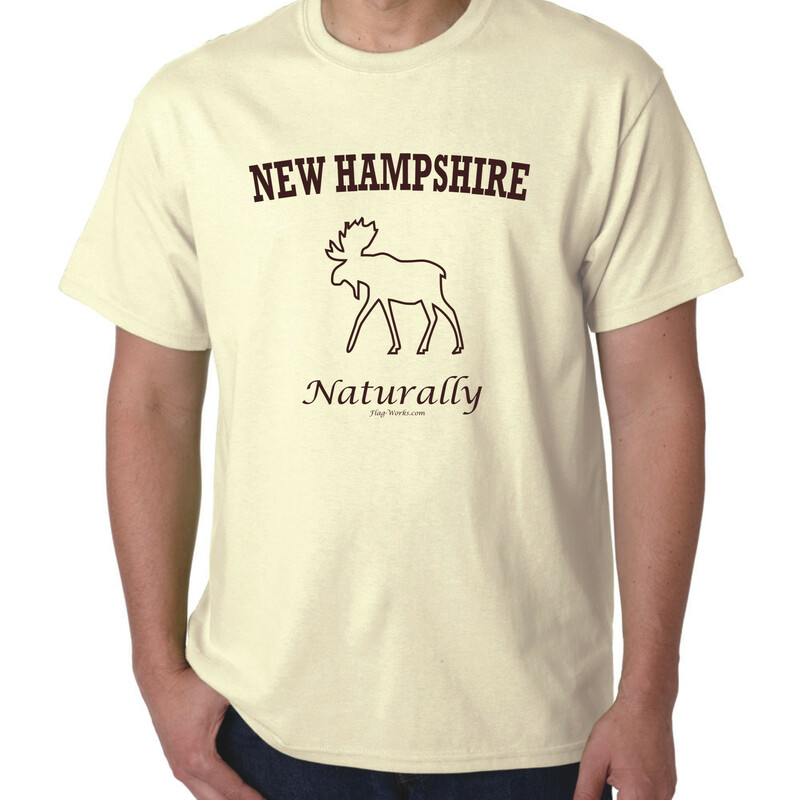 This entry was posted in New Hampshire and tagged 100% cotton T-shirts NH, Capital City of New Hampshire, Capital of NH, City of Concord T-Shirts, concord, Concord T-shirts, Moose T-Shirts, Naturally New Hampshire, Naturally NH T-Shirts, New Hampshire, NH on November 18, 2014 by Courtney.